The crux of this hair trend is that the top section of hair on your head needs to fall flat, which we otherwise don’t prefer. The waves are styled after achieving the flat top. This doesn’t happen naturally and hence prepping your hair is extremely important. 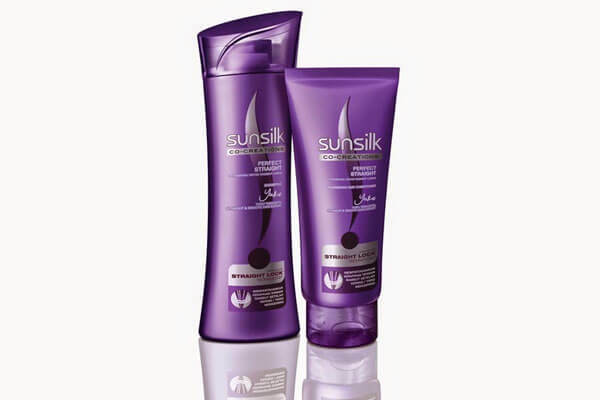 Use the Sunsilk Perfect Straight Shampoo and Conditioner that contains Straight Lock technology and Silk Protein which work to form the ideal base for this look. Step 1: After washing, allow your hair to dry naturally. Blow drying wet hair will give it a little volume which is not something you want with this hairstyle. Step 2: Once your hair has dried, section it into two main sections and four subsections, spray some heat protectant and start blow drying it. Make sure you blow dry it inward as opposed to outward as an outward blow dry will add more volume to your locks. Step 3: Once the top section of your hair is nice and flat, it’s time to add the curl. Take two inch sections of your hair from the middle of its length and wrap each section around a small barrel curling iron. You can also use a straightener. Create S shaped waves and leave them loose. Make sure you straighten the hair a little from its tips to finish. Step 4: Add some extra sheen to the hair by spraying some shine spray. And you’re done. You’ll have luscious flat waves in no time! The flat wave hair trend is big and everyone’s trying it for weddings, receptions, parties etc. It also looks amazing with hair that’s been coloured, and especially so if you’ve done the balayage look. 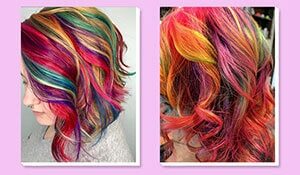 Would you try this trend out?